New postage stamps, postmarks; forthcoming auctions, bourses, exhibitions, and inaugurations; philatelic articles. Commemorative postage stamp devoted to the Czechoslovak Legions and Milan Rastislav Štefánik. Postage stamp of the EUROPA stamp series devoted to rare birds depicting the European roller. The commemorative postage stamp issued to mark the World Ice Hockey Championships in Slovakia in 2011 depicting the forward. An commemorative postage stamp dedicated to the 50th anniversary of the Union of Slovak Philatelists (ZSF). The issue plan of Slovak postage stamps for 2019 (continuously updated). New issue of the philatelic journal SPRAVODAJCA ZSF that provides the updated information about events in organized philately in Slovakia. The issue plan of Slovak postage stamps for 2020 (continuously updated). 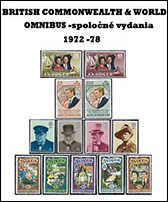 Overview of current news and new materials in the Slovacicas section which is dedicated to postage stamps and other philatelic materials of other countries with relation to Slovakia and Slovaks. The second section lists the open questions to which we seek answers. If you know, advise. Collecting field philately (Slovak filatelia, Czech filatelie, French philatélie, Hungarian filatélia, German Philatelie, Polish filatelistyka, Spanish filatelia) is a hobby collecting activity devoted not only to collecting postage stamps but also other postal valuables and documents related with postal service: postal cards with embossed stamp, stationery envelopes, pictorial postal cards, various types of entires, postmarks, postal labels, telegrams, postal forms, etc. Information about news for collectors of Slovak philatelic materials (postage stamps, commemorative postmarks, postal cards, stationery envelopes, and other postal materials). All materials are illustrated and supplemented by basic information on author, date of issue, place of issue, printing amount, pictorial and textual motifs, and other information. Information service on events for collectors providing information about forthcoming philatelic events: philatelic auctions, philatelic bourses, club meetings, philatelic exhibitions, postage stamps inaugurations, specialised philatelic events and events to popularise philately and postage stamp collecting. 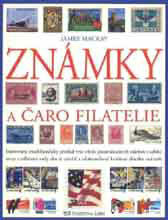 Specialised philatelic information published as specialised philatelic articles and self standing specialised sections. All information are actualised and supplemented by new findings. Životné rozhodnutia sú správne vtedy, ak sú založené na racionálnych faktoch a zároveò slúžia na uspokojenie emócií. Copyright (c) 2007-2018 FilaNotes. All rights reserved.